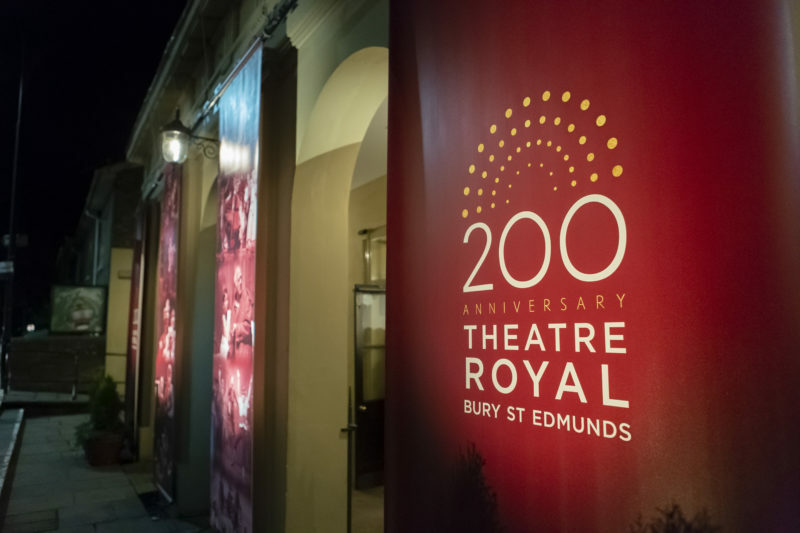 Theatre Royal Bury St Edmunds turns 200 years old in 2019 and to celebrate there is an extra special lineup of shows and events planned. The full details were announced at the launch event on Tue 12 Feb to an audience of friends, patrons, staff, performers, sponsors and more; with presentations from Heritage Officer, Dr Clare Barry and Artistic Director & CEO, Karen Simpson. The night also saw performances from Amateur Dramatic groups including Irving Stage Company and Theatre Royal’s own Young Company. When William Wilkins first built Theatre Royal back in 1819, would he have imagined that the theatre would still be standing and operating 200 years later? Especially considering the slightly rocky history of its operation (it lay dormant as a barrel store for about 40 years!) and yet we find ourselves today with the theatre restored to its original regency splendour, shining more brightly than it ever has before. Brand new Close Encounters: Live Interactive Tours will bring the theatre’s history to life with a chance to meet prominent characters from the past in situ, dressed and behaving as they would have been when they were originally at the theatre. The heritage tours have also been given a refreshed script delving deeper into the fascinating stories of the theatre over the years. 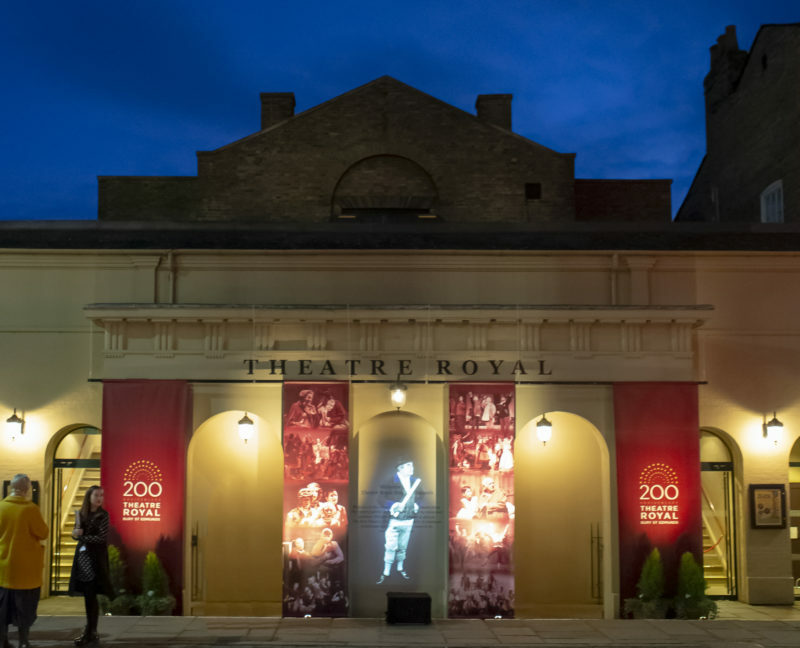 The 200 for 200 walk celebrates the original routes of architect William Wilkins and his group of players who would tour the east counties visiting various theatres, of which Theatre Royal is the only one still operating as a working theatre. This sponsored walk will contribute towards the anniversary fund, aiming to raise £200,000 in the theatre’s 200th year. The walk is sponsored by Bury Physio and the theatre is very grateful for their support. In collaboration with RojoArt, a new celebratory mosaic will be created by six local schools for the theatre’s garden wall. The students will take part in history workshops exploring characters and stories form the theatre’s past, and craft workshops to create their aspects of the mural. RojoArt will then assemble the pieces and the schools will return to see it on display in June. In the summer, the theatre will present a new production of Jane Austen’s Pride and Prejudice, using the proven Summer School model following in the tremendously successful footsteps of 2018’s Goodnight Mister Tom. On Sunday 13 October, we will be hosting an Anniversary Gala to mark the 200th birthday which is on Friday 11 October. Under the direction of Karen Simpson and Debbie Flitcroft, the evening will include comedy, music and drama – featuring a star-studded cast with names to be announced. Tickets will go on sale with the autumn season. The newly refurbished Peter Hall Room (previously the Premier Bar) has been named after the founder of the Royal Shakespeare Company and director of the National Theatre, Sir Peter Hall, in recognition of his long association with Theatre Royal Bury St Edmunds and the town itself. 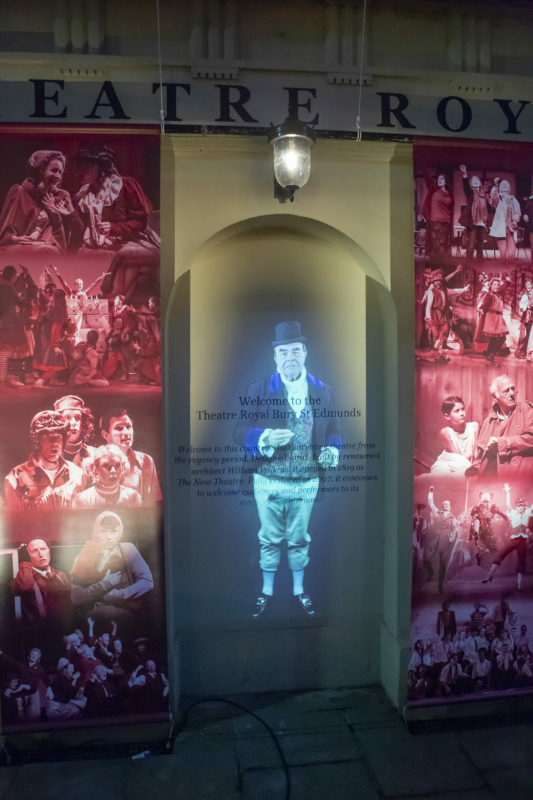 You can find out more about his relationship with Theatre Royal in the first exhibition in the new space which will now be used as a versatile room for exhibitions, meetings and workshops. There will be a History Day, a collaboration between Theatre Royal and leading theatre historians from the University of Essex. 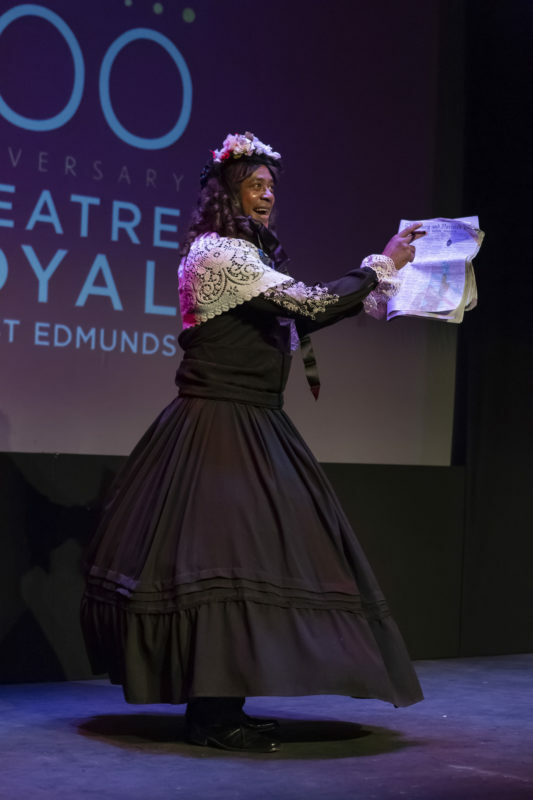 Join Professor Katherine Cockin and Dr Elizabeth Kuti for lectures exploring the connection with Norwich Comedians and Norwich Circuit; then take the opportunity to explore your own past by tracing your theatrical ancestors using the Ellen Terry archive. Later in the year the theatre’s doors will also be open for a free weekend of activities for all ages. Take a tour of Theatre Royal with interactive performances, listen to live music and more. 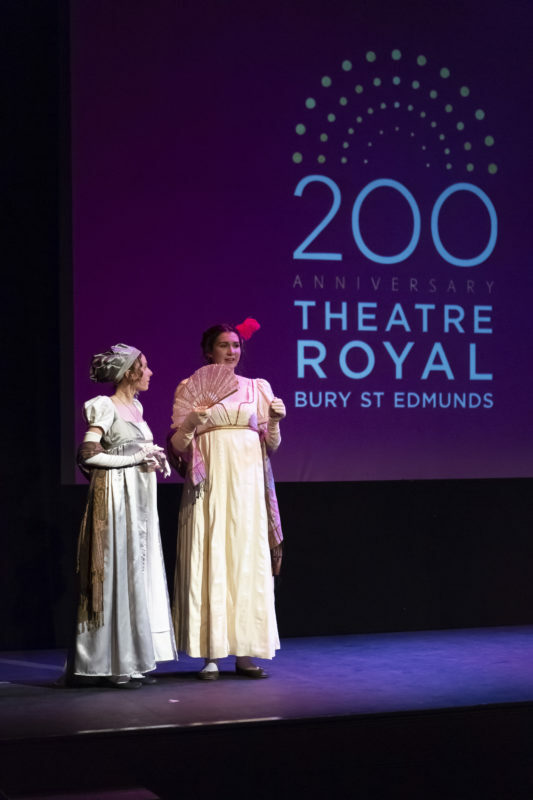 Theatre Royal Bury St Edmunds’ Community Company, under the direction of Associate Artists Danusia Iwaszko and Lucinda Meredith, are creating snapshots of Bury St Edmunds’ society across that period, from 1819 to 2019 in The More Things Change. Focusing on some of the key outreach strands of the theatre’s work including homelessness, domestic violence and recovering from substance abuse, the group will look at how these have changed and how they have remained the same. The Community Group is ably accompanied, on this occasion, by the wonderful community orchestra led by Barry Metcalfe. Last but not least, with thanks to Greene King Brewery, Theatre Royal will be able to serve you a special 200th Anniversary Beer, Trapdoor! Soon to be available from the Greene Room Bar throughout the year. Tickets for shows and tours are available in person at the Box Office, by phone on 01284 769505, or online. The interactive tours will start in April, to find out more and register to take part in the 200 for 200 walk visit the 200 for 200 webpage. Pride and Prejudice and the Anniversary Gala will go on sale with the autumn season in April.